o	Assistance/Participation with LA Section Government Relations Seminar in October 2015 with key speakers such as: Jeff Lalloway and Darrell Johnson of OCTA; Lucy Dunn of CTC and OCBC, amongst others. •	Committee made up of constituents from a majority of the State Assembly and Senate Districts within Orange County. In addition to Ravi’s responsibilities as 2014-2015 Chair of the GRC, Ravi was responsible for the further development of the ASCE OC Mentorship Program and the Construction Institute Student Days Competition for ASCE. In addition to his involvement in ASCE, Ravi’s project responsibilities include/included Project Management, Construction Management and even design for several projects within Southern California, including the I-110/C Street Interchange Improvement Project in Wilmington, CA; the Naples Island Seawall Project in Long Beach, CA; the Gerald Desmond Bridge Replacement Project in Long Beach, CA; and US101 Highway Widening project in Santa Barbara, CA. I wish that I could share with everyone the numerous impressive experiences that I have seen from Ravi over the years. Ravi may have been born to be a leader, but whatever natural talents he has are overshadowed by his hard work and dedication for improvement. One of the best examples of his leadership is within the ASCE OC YMF. While Ravi was VP he already had plans of how to make changes to increase the growth of the group. He served as President in the 2012-2013 which was both the ASCE LA Section Centennial and ASCE OC Branch 60th Anniversary. Under Ravi’s leadership as president ASCE OC YMF has grown substantially. The diversity of events have improved, the number of events has tripled, attendance has risen, and new leaders are being inspired to join and grow with us. OC YMF held or participated in 95 events. Ravi played a key-role in development and oversight of all the planning which went into all of them. While Ravi currently remains involved as part of the Government Relations committee and Mentorship Program, it’s clear that Ravi is often sought to lead and motivate teams to accomplish a common goal, as witnessed by his dedication to start a Mentorship program in Orange County and to reinvigorate the Government Relations committee. Mentorship Program (2014 – Present): As noted above, the mentorship program was requested to be initiated by the Los Angeles Section and requested to be formalized and started. Ravi utilized his experience to formalize and start the program, it was started locally so that it could be easily managed. Through Ravi’s leadership, Ravi created the mentorship program with the Orange County Branch and Younger Member Forum, gathering interest from both board members. In a matter of a few short months, Ravi with the help of committee had prepared all of the documents required to start a program, prepared a schedule to initiate the first program, created an application process for mentors and protégés and initiated the first pilot mentorship program for ASCE within the Los Angeles Section. The first year’s pilot program had over 50 applicants, due to budget constraints and in order to fully understand any bugs of the program, the program was limited to the 30 best applicants (Mentors and Protégés). In October 2014, the first kickoff event was held. The OC Mentorship program is in its second year with 40 participants and a strong committee of 10 volunteers which put together 4 events per year for the mentor/protégé pairs, and develop guidelines for the pairs to develop and evaluate progress of a professional development plan on a monthly basis. Ravi continues to serve as an advisor to the committee and is actively involved in the program he helped create and start. One of the most successful and notable community service events was a house build in Tecate, Mexico. The house build took place on May 11th, 2013; OC YMF successfully recruited 12 volunteers within the ASCE organization. Ravi was responsible for the initial coordination with his Community Service Chairs and the San Juan Rotary Club who ultimately helped sponsor the cost of the event. Ravi’s commitment to recognition of his colleagues does not stop at ASCE. Ravi was on the HDR Pathfinder Awards committee since 2010 where he has been a strong proponent of recognizing his co-workers for their achievements in and out of the office. I’m not sure where this man found the time to sleep, but he was also a Co-Founder and officer in the HDR Young Professional Engineers Group (YPEG) in Irvine from 2008-2011. If you were keeping count you will notice that in 2011 alone Ravi was an Officer in YPEG, WTS-OC, a Chair in the HDR Pathfinders Committee, and Vice President of OC YMF. As if being an officer in ASCE was not enough, Ravi was also an active committee member of WTS-OC between 2010 and 2012. A majority of Ravi’s time is spent between ASCE and his career. He utilizes the community involvement arm of the ASCE group to capitalize on opportunities to give back to the Community. He has participated in several of the Community Outreach events organized by the ASCE Orange County Younger Member Group. This dedication to ASCE and the community is an example of an individual who has dedicated much of his time to giving back and this commitment should not go unnoticed. While Ravi was also the chair of the Young Engineers Group (YPEG) in the HDR Irvine office, he organized the Young Transportation Engineers in the office to discuss issues relevant to them. The group also hosted several professional development courses, technical presentations, produced a newsletter, and guided young engineers to passing their PE. During Ravi’s involvement in the HDR Riverside TSO Committee he volunteered for a number of events such as; Keep Riverside Clean and Beautiful, and the American Heart Association Heart Walk. Because Ravi’s involvement in engineering organizations is inherently to benefit the next generation and support the engineering industry it’s easy for him to rally support from his peers in ASCE. One thing Ravi has said that is important in our industry is: Exposing younger generations to the Civil Engineering field and its importance. Ultimately, the future generations are our future and will always continue to be. It is important for our industry to continue to educate the general public (young and old) on the importance of infrastructure and the positive impact that the civil engineering field makes on everyone’s lives. Ravi is a Project Engineer with Mark Thomas and Company and specializes in Highway and Local Roadway Improvement projects throughout California. Ravi’s dedication to the industry is exceptional for any engineer to have accomplished. 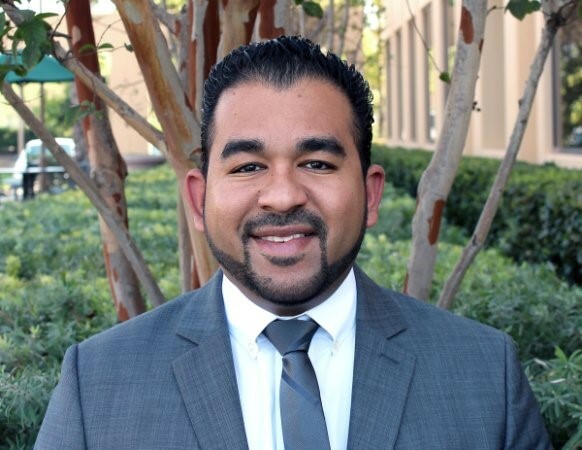 In his current roles he continues to be heavily involved with ASCE reinvigorating the Government Relations committee and starting the first successful Mentorship Program in Orange County while managing his work assignments. Ravi currently serves as an ASCE State Advocate and has participated in several State and Federal legislative days including 2 State Fly-Ins and 2 DC Fly-Ins where amongst his colleagues they have met with their representatives to advocate for infrastructure and serve as technical resources. In 2014, Ravi was recognized as a 2014 New Faces of Civil Engineering for his work accomplishments and his involvement with ASCE. This included his term as the President of OC YMF in 2012-2013, where he led an amazing growth for the LA Centennial and OC 60th Anniversary. Ravi was able to lead a fresh group of 22 young engineers to nearly triple the number of events reaching 95 events for the year. Through his leadership, the group was able to increase the diversity of events, bring the university students and professionals closer together and increase the active membership of younger members in OC.